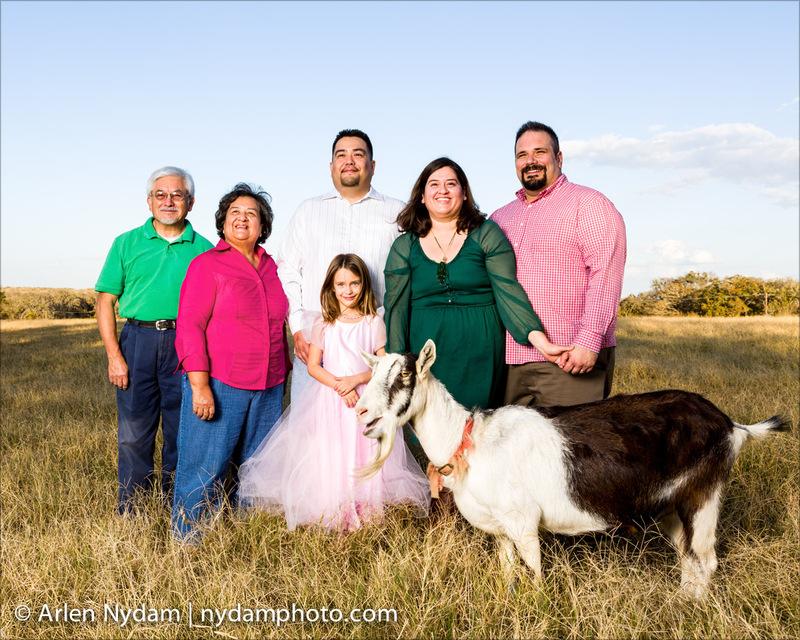 Did some family photos for friends in Bastrop, Texas, last year. This was the last location on our list. We were doing just fine until Carmelita the goat trotted into the pic—then we were doing great. This was lit with an Einstein 640 in a Softlighter II. ISO 125, f/8, 1/160th sec. On a tripod, so I would be able to swap out faces between frames if need be. Manual focus, so I didn’t have to worry about Carmelita throwing off the AF.